Today. It is alarming to hear about the huge number of people who complain daily about receiving a very bad quality job from their previous window cleaning service. Even though recognizing a quality window cleaning service may seem very simple, it is not always as easy as we do think. In this article, I have highlighted 5 things you should look out for in a professional window cleaner before you commit yourself and your investment. A good window cleaner is as good as his previous reviews. When you are looking to hire a professional window cleaner, take some moment out to check google reviews about the cleaner. You should always preference companies that have more than just an average rating. The rule of thumb I can recommend is to choose cleaners with 4 stars and above. In addition to Google, you can also check Facebook and Thumbtrack for a better insight into the company you have decided to hire. 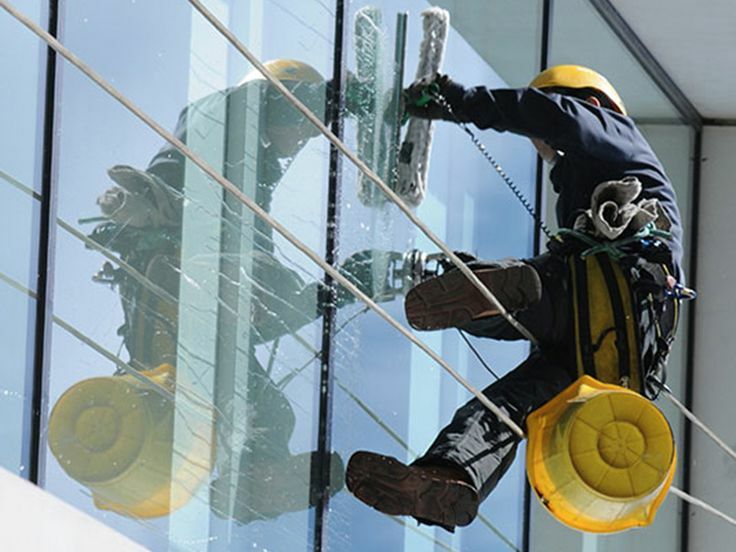 Just as it is for any other business, window cleaning companies must also be approved by the state. This is something we often forget to check even though they look simple and easy. If you don’t want to receive a bad quality service at the end of the day, you should take some time to check if your professional window cleaner is accredited. Don’t fall for the enticing offer. When the offer is too good to be true, it always ends up in the weeds. Apart from getting a poor quality job, you will also be putting many things at risk when you hire a window cleaner that is not recognized by the state. Of course, price is one of those things that determine the type of quality you should expect from a service – though it is not always a determinant but to some extent, everyone expects a great job for good pay. When the price is outrageously too low, it is a sign that you might be getting poor quality service, so stay away. However, even as you don’t want to hire a window cleaner with the lowest price, you should also not overpay for the service. So, choose a cleaner whose price stays in the middle of healthy competition. Safety should always be your priority when choosing a professional window cleaner to clean your windows. Always go for companies that have a great safety reputation. A good example of such companies is the Zachs Power Washing and their price is also great. #5: what is their employee standard? This is a very important factor for any credible window cleaning company. A good company will always do some background check to ensure their employees are up to the standard and have not been involved in any criminal activities before. You need to know the type of employees the company has; don’t forget you are committing both your interior and exterior into their hands. I’m sure you understand what that means.